Faded Zap Energy Bra on top of Zippy Green Energy Bra. Thanks to Ms. H for this picture, she notes that both colors are much more vibrant in person. 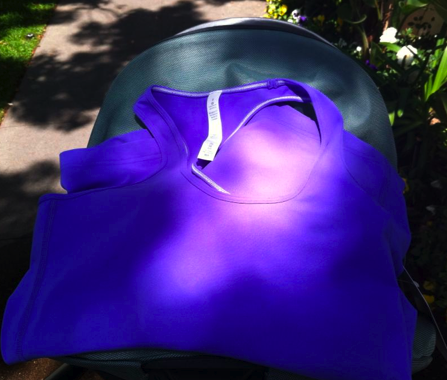 Gorgeous Power Purple Cool Racerback Tank (picture thanks to Ms. B). 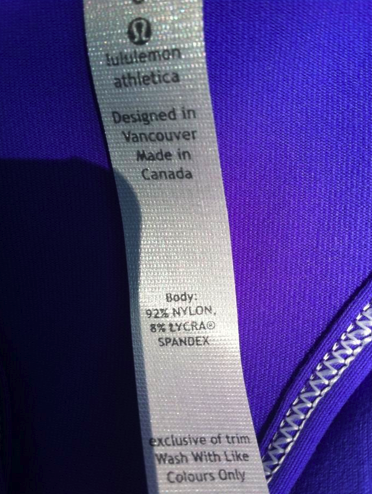 Note, it’s made in Canada! 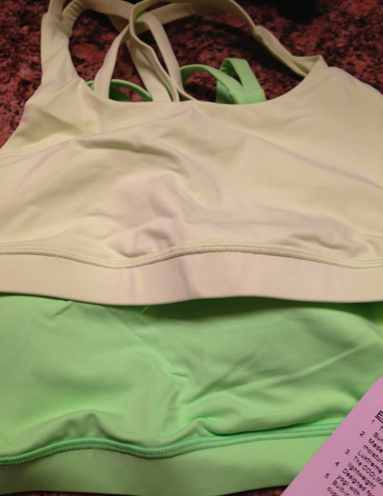 This is one of my top five favorite lululemon colors of all time. "The Latest: Studio Crops, Clarity Tank, Front Racer Tank and More"
"Color Comparison: Soot Light to Blurred Grey, Magnum, Wren, Coal and Deep Coal"